“UFC Fight for the Troops 2” took place Saturday night at Fort Hood in Kileen, Texas. 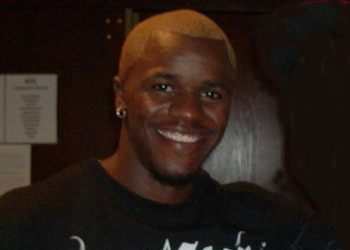 The Spike TV broadcast featured a lightweight battle between up-and-comers Melvin Guillard and Evan Dunham. Entering the pivotal shootout, Guillard wasn’t shy in sharing his belief of being God’s gift to the 155-pound division. After his 178-second shellacking of the Xtreme Couture-trained fighter, he was unquestionably the best lightweight inside the Octagon last night. The event raised funds for the brave men and women in the United States Armed Forces with traumatic brain injuries. The Intrepid Fallen Heroes Fund (IFHF) provides assistance to our nation’s military heroes who have been critically injured in the performance of their duty and their families. Information about ways to donate can be found online at FightFortheTroops.com. “I want my title shot [at the title]. I’m the dark horse in this game at 155 pounds. No disrespect to anybody in my weight class, but I am the best 155-pound fighter in the UFC. “I’m thrilled. If you’re next in line for a title shot, you’ve got to go out there and prove it. I believe I did that with my fists tonight. I believe my stand-up is far superior to everybody’s. You just have to go out and show it in the cage.